Subject to Terms and Conditions ACCI-CAM film is processed free of charge. Full instructions are provided on each ACCI-CAM. As from 1st August 2007 images are supplied on CD together with film negatives. Orders can be placed by e-mail where upon an invoice will be forwarded to you. 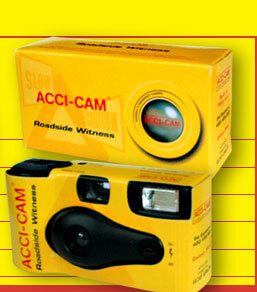 On receipt of payment, ACCI-CAM cameras will be despatched to you. You can order here. 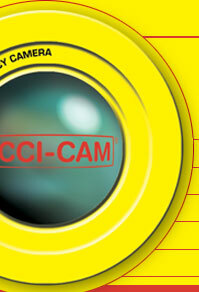 All ACCI-CAM's are guaranteed as new single use cameras containing high quality film. They should not be confused with other inferior products consisting of second-hand single use camera bodies reloaded with cheap film. If you are interested in purchasing ACCI-CAM's or if you would like more information on how they can help you and your company please feel free to contact us. We will be more than happy to help.